Ed Ruscha is considered as one of the greatest living American artists whose paintings and drawings have received widespread critical acclaim for more than half a century. Ruscha was born in Nebraska, grew up in Oklahoma, and has lived and worked in Southern California since the late 1950s. Throughout his career, he has produced paintings, photographs, prints, drawings, and films that often reference the city’s architecture, urban landscape, and car culture. His work is inspired by the ironies the life in Los Angeles, which he often conveys by placing glib words and phrases from colloquial and consumerist usage atop photographic images or fields of color. Known for painting and drawing with unusual materials such as gunpowder, blood, and chocolate syrup, Ruscha draws attention to the deterioration of language and the pervasive clichés in pop culture. By some, he is known as the West coast “Pop” artist, displaying changing icons and emblems of American life in the last half century. Primary motifs of his deadpan, and often recognizable paintings and works on paper include the everyday landscapes of the West, with a focus on the now car dominated landscape, including gas stations, billboards, building facades, parking lots, and long stretches of roadway. Cinema, advertising, logos, late capitalism and the twists and turns of postwar art have also informed his iconography since the early 1960s. Ruscha’s photography is also both complex and ambivalent. He produced sixteen small artist books between 1963 and 1978, which consisted of straightforward photographic images of the vernacular architecture of Los Angeles including apartment buildings, and other structural images of his much-loved city. Ruscha’s first photographs were of gas stations along Route 66 during road trips between Los Angeles and his hometown of Oklahoma City. Some of these images appeared in Twentysix Gasoline Stations, one of his influential artist books. The work is black and white and could be considered purely documentary with no artistic connection. But the images certainly connect with an influence of the New Topographics movement at the time, of a breed of photographers interested in documenting the encroachment of urbanization and sprawl on the American West. Twentysix Gasoline Stations is also considered to be the first modern artist’s book and has had a significant impact on the culture of emerging artist books. Ruscha’s fourth book, Every Building on the Sunset Strip, is regarded as one of his most famous, and was published in 1966. It features a well-known stretch of real estate along Sunset Boulevard. In 1973, Ruscha photographed Hollywood Boulevard similar to the way he did Sunset Boulevard. 30 years later, in 2003, Ruscha returned to Sunset Boulevard with the same equipment and camera and re-photographed the street in 35mm color-negative film. His book, Then and Now resulted from this shoot, which juxtaposed his 1973 black and white photographs, a record of the past, with the color photographs from 2003 in a panoramic form that spanned the 12-mile stretch he photographed. This project is significant because not only does it represent the passage and concept of time, it also sheds light on the incredible span of the artist’s photographic oeuvre. 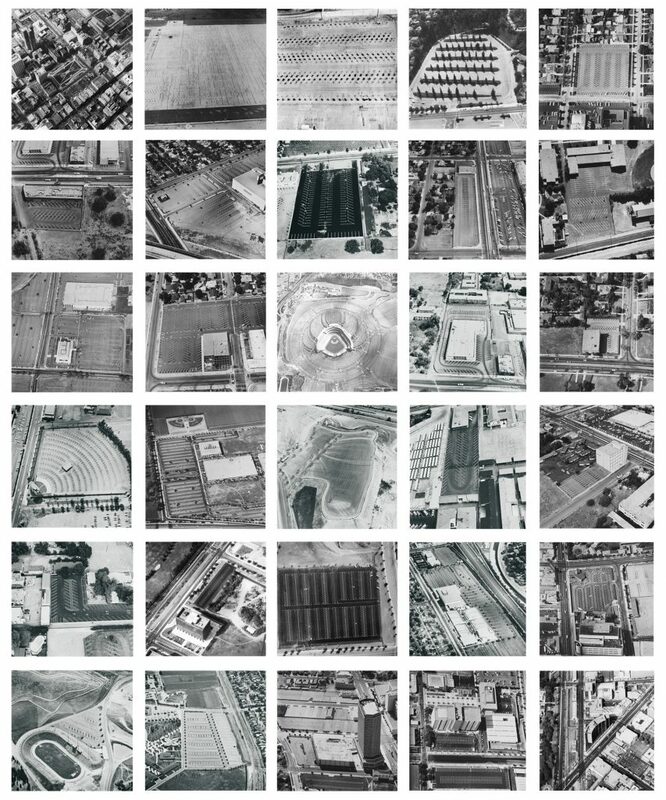 Ruscha’s book projects of the 60’s and 70’s are recognized as being central to photography’s development, and have contributed significantly to the way we can think conceptually about the built landscape through photography. Marla Hamburg Kennedy is an American art curator and publisher specializing in contemporary art and photography. She is also an author and has published 15 photography books.